2 Bedroom Flat For Sale in Evesham for Guide Price £80,000. A two double bedroom property offering assisted living. Walking distance of the town centre & no chain. From the communal security entrance & residents lounge is a lift or stairs to the first floor flat. The apartment has a variety of security pull cords & there is assistance available if required. The property has several useful storage cupboards, the secure phone entry system, access into the lounge/diner, two bedrooms & bathroom. From the lounge/diner is the kitchen area. There is also a laundry room available on site. Externally there are communal grounds & gardens for the residents use. 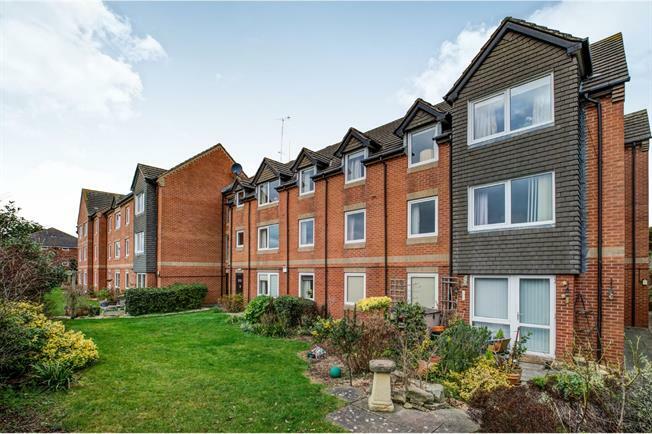 The property is conveniently located for the town centre & its amenities to include pubs, shops, supermarkets, leisure centre, doctors & dental practises. The train station is walking distance with its direct links to London Paddington. Evesham is around 20 miles from historic Worcester City, the cultural & commercial centre of Cheltenham Spa & Shakespeare's Stratford upon Avon.